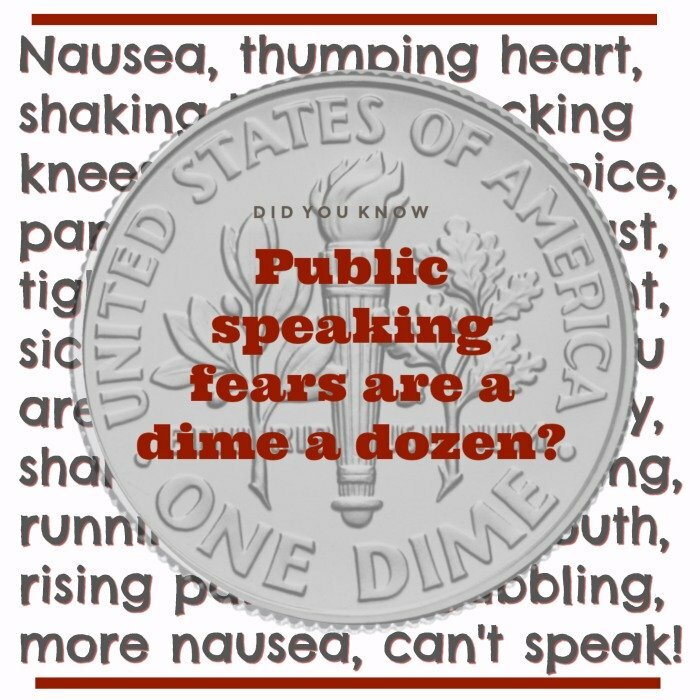 Public speaking fears are so common they are, as my Granny used say, "ten a penny". The equivalent phrase in US English is "a dime a dozen". Everybody everywhere knows about public speaking anxiety and many feel its symptoms. and imagining yourself gasping like a frantic fish out of water - your mouth opening and shutting in terrifying silence because the words you were supposed to say have fled - out of sight, out of mind. Some of us feel those symptoms acutely. Once-upon-a-time that was me and I wanted them gone! My 7 step e-course "Letting go of Fear" is a compilation of the best strategies I've found for working with public speaking fears. 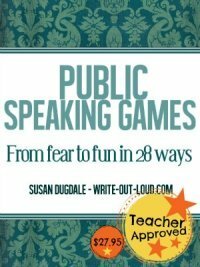 These have helped me, (and my students), stand to speak competently and confidently in front of others. It's work, but it's worth it! Becoming capable doesn't happen magically or overnight. It takes perseverance and practice but you will get there. One small step after another small step ultimately turns into a stride. Several strides later, and you're miles from your starting place. The course is here to help you become the speaker you want to be and, it's free. Sign up and you'll receive seven emails, one every three days. Each contains a core idea and strategy to work with to help you transform your negative "can't" energy into positive "can". The three day interval between emails is deliberate. It's to give you space and time to consider, practice and feel the benefit of each exercise before you add a new one. Once you have all the strategies in place you can pick and mix to fit your individual requirements. Let's be completely clear! I need to repeat this. My e-course is NOT a quick-fix. A rapid once-over-lightly reading of the information you receive will not change your experience. It will take effort and application. There will be ups and downs along the way, but you will get there if you persevere. You'll arrive at a place when you suddenly realize you've spoken in front of others with genuine pleasure and, you feel good. It's best for those who are self-motivated and prepared to give it a go. You need nothing else other than an open mind, time and willingness to practice. If you're a teacher looking for strategies to help students, these are applicable and adaptable for middle school and up. It's a mix of practical commonsense strategies designed to give you the support you need to move forward safely. Some of them are "doing"things involving specific physical exercises and organizational activities. Others are internally focused - examining habitual thinking and visualization patterns. I promise you there is no mention of visualizing the entire audience in their underwear or worse, naked! Some of it may not be comfortable, as dislodging long-held beliefs can require a bit more than a gentle prod. However if you're up for change and rearranging your mental furniture, you'll be fine because you'll know it's in a good cause - ridding you of public speaking fears. 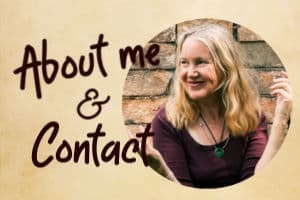 Click the link to find out more about me. If you have questions you want to ask before you sign up you'll find a contact form there. I'll gladly answer them. If you're concerned about entering your email address, don't be. I will never use it for any other purpose beside sending you this e-course. Your privacy is assured. Note: If you're not quite ready to sign up you'll find some of the content in the "Letting go of fear" e-course in the pages below.